As a valuable resource for education seekers and college-bound students, we have assembled a list of frequently asked questions in dental hygiene. Whether you have already applied to a college or are looking for the best dental hygiene schools near you or around the country, invest the time to learn more about the field to help advance your knowledge and career prospects in dentistry. In its simplest terms, college accreditation is a peer-review process of educational institutions by an independent body to assess and evaluate the quality of the institution or its respective programs. To deal with the differing types of accreditation in the United States, there are two types of accreditation pathways. The first is known as institutional accreditation whereby a college or university seeks school-wide accreditation and often is provided by a regional or national body. The other is a specialized programmatic type of accreditation that focused on a specific area of study within the school. What is the Most Popular Accreditation Body in the Dental Field? The most popular accreditation body in the dental field is CODA. The Commission on Dental Accreditation (CODA) was founded in 1975 and is nationally recognized by the U.S. Department of Education. Further, CODA is the sole accreditation body for dental and dental programs within higher education in the United States. 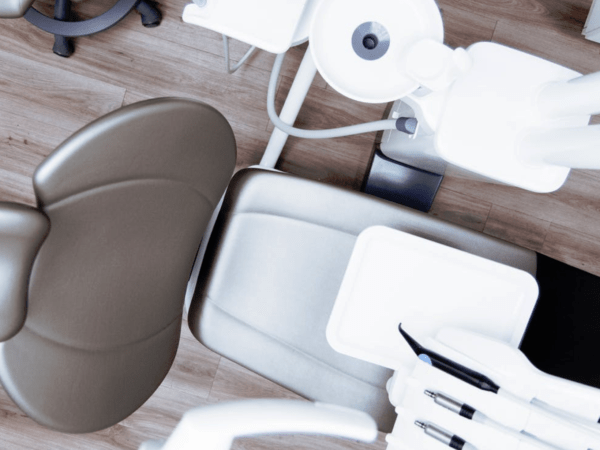 Do All Dental Hygiene Programs have a CODA Accreditation? CODA accreditation is voluntary and not all schools have elected to earn this accreditation. That being said, graduating from an accredited program is a requirement for dental hygiene licensure. A college or university may in fact open without CODA accreditation but graduates may not be eligible for licensure depending on the state. How do I Find the Best Dental Hygiene Program for Me? Is your school/program accredited by the Commission on Dental Accreditation (CODA)? What makes your dental hygiene program unique? What information do you have about your professors and faculty? What were your attrition rates in the last five years? Does your dental hygienist program offer a part-time program of study? How long does it take an average student to earn a degree in dental hygiene? What percentage of your graduates passed the national board exam on the first attempt? What percentage of your graduates passed the clinical licensing exam on the first try? What percentage of your students are employed as a clinical hygienist within six months of graduation? What student resources exist to assist towards degree completion? How do I find the Best Dental Hygiene School Near Me? To find the best dental hygiene schools near you, simply utilize the MatchCollege proprietary matching portal or our dedicated dental hygiene resource page. Input your specific criteria and request information from schools that are of interest to you. The same process would apply to students looking for the top dental hygienist programs by state or region. What is Included in a Dental Hygienist Program? In the last 40 years, the curricular design for the dental hygiene degree program has evolved immensely. After dozens and dozens of iterations of program requirements, educators and practitioners have arrived at a viable program for dental students. In addition to the school’s unique classes and academic methodology, CODA has established a set of guiding criteria for colleges that include curriculum and patient care competencies. Many schools choose to exceed the CODA standards but must adhere to the minimum standards to maintain their respective accreditation. For additional information about educational requirements, employment outlook, career pathways, online programs, tuition, financial aid, and accredited college programs for dental hygienists simply visit our dedicated resource page today.